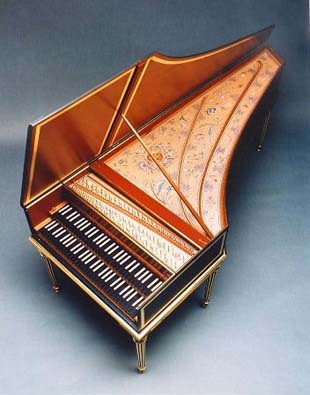 As the city of Cremona is to violin-making, so is Antwerp to the harpsichord. 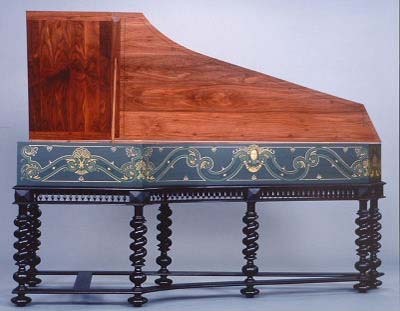 The great names of Amati, Stradivari and Guarneri are matched by the family of harpsichord makers named Ruckers. 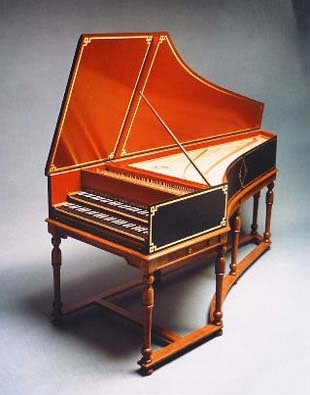 The activities of the Ruckers dynasty in 17th century Antwerp were to influence harpsichord makers of the northern countries throughout the next century. The Ruckers instruments were famous for their evenness of tone and their astonishing resonance. During the 18th century they were rebuilt, expanding the musical resources to meet the conventions of that time. 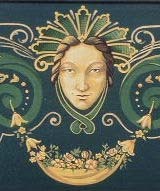 The Parisian makers were most famous for the art of rebuilding the great Flemish instruments, and this both informed their own work and inspired forgeries. 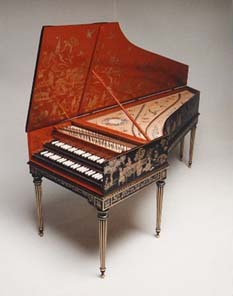 The Ruckers harpsichords were valued by musicians, and were objects of status among the nobility. 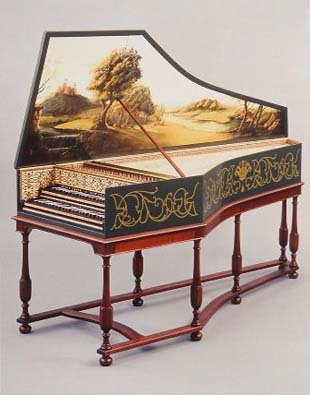 Handel is known to have owned a Ruckers, and Charles Burney, when writing of his visit to Balbastre, comments on his fine Ruckers harpsichord. 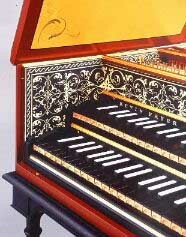 Of the Ruckers harpsichords that survive today, one particularly fine example is the Ioannes Ruckers at the Musee D’Unterlinden in Colmar France. Built in 1624, it was rebuilt twice, firstly around 1680 and a second time in France in 1720. The work done by the anonymous rebuilders was conservative in scale. By leaving the case, soundboard, and bridges undisturbed, they preserved much of the original sound design of Ruckers. 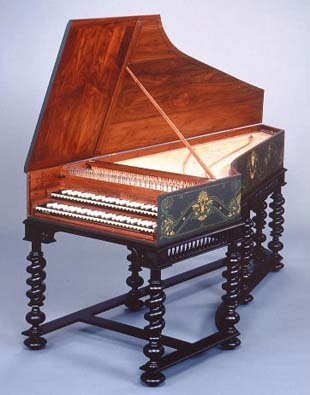 By repinning the bridges, adding a second 8´ choir of strings, and making new keyboards, they gave the instrument just enough musical resources to serve much of the repertoire of the 18th century. In my mind, the 1924 Ruckers in Colmar embodies the finest characteristics of the Ruckers School. 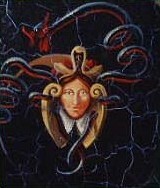 I attempt to build instruments that take as inspiration the original, and pay tribute to the genius of the old masters. It is believed that the original Vaudry was built for the Duchess du Maine, daughter-in-law of Louis XIV. Further weight is given to this theory by virtue of Vaudry’s title of “maître seul faiseur d’instruments de musique du Roi”. It is remarkable that this is the only known extant instrument which survives from this important maker. 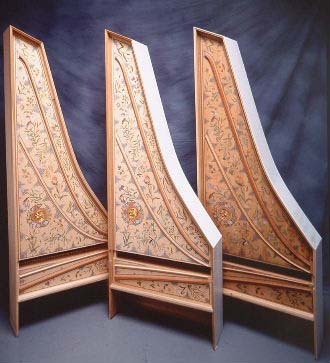 Today the 17th century French harpsichord has been largely eclipsed by the building practices of the 17th century Flemish school and its subsequent influences upon the 18th century French makers. That the French shifted so suddenly from their own “native” style to the principles of the Ruckers school testifies to the genius of the Ruckers dynasty. It does not, however, diminish the accomplishments of the 17th century French makers in acoustical design and aesthetics. Of the surviving instruments of the Ruckers family, only one survives unaltered by makers of the 18th century. The 1638 Ioannes Ruckers in the Russell collection at the University of Edinburgh, gives builders today great insight into the building practices of 17th century Antwerp. 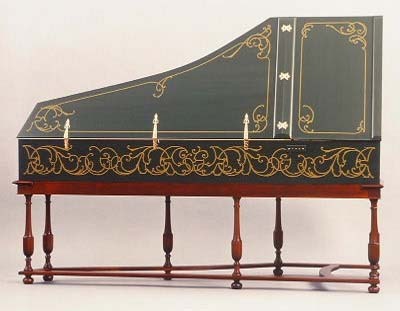 Modern builders have used this instrument as the basis for Flemish designs ranging from conservative petit ravalement to late 18th century grand ravalement. I have chosen a middle course, expanding the case sufficient to provide for a compass of GG–e'''.